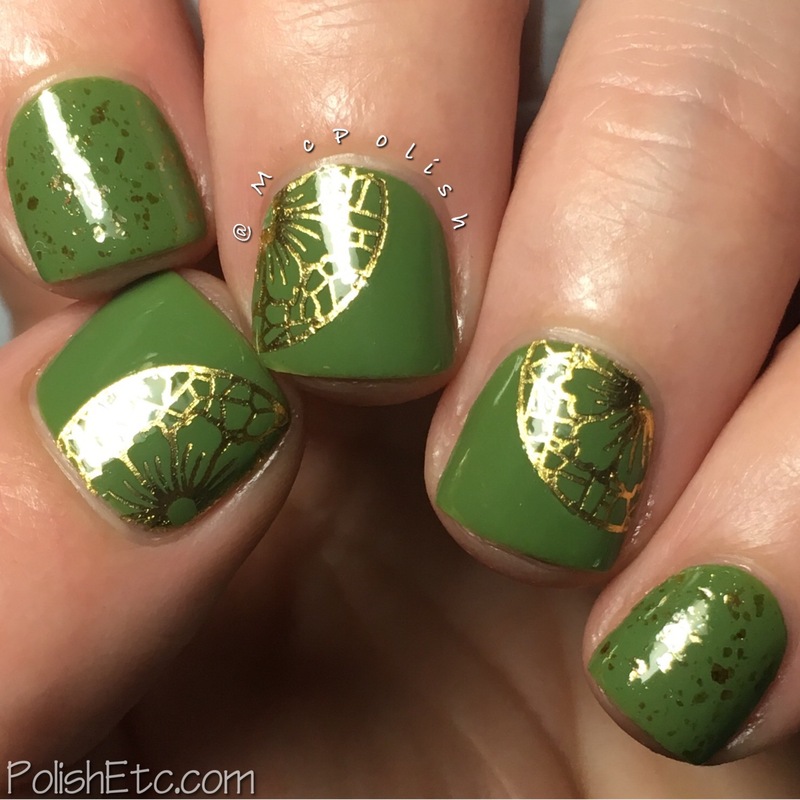 Green Nails for the #31DC2017Weekly - Polish Etc. So sorry that I missed posting last week for the challenge. I was on vacation and didn't get a post prepared in time before I left. So, today, you will get my green nails post from last week and tomorrow I will share the blue nails post for this week. That is the beauty of this challenge, you have plenty of time to catch up. For my base, I used another Zoya Nail Polish! My challenge within a challenge is working well. "Jace" is a bright olive toned grass green crelly. The formula is opaque but still squishy. I love it! This is two thicker coats with glossy top coat. But it is pretty darn glossy on its own. I added some gold flakies to my pointer and pinky with "Maria Luisa" also from Zoya. 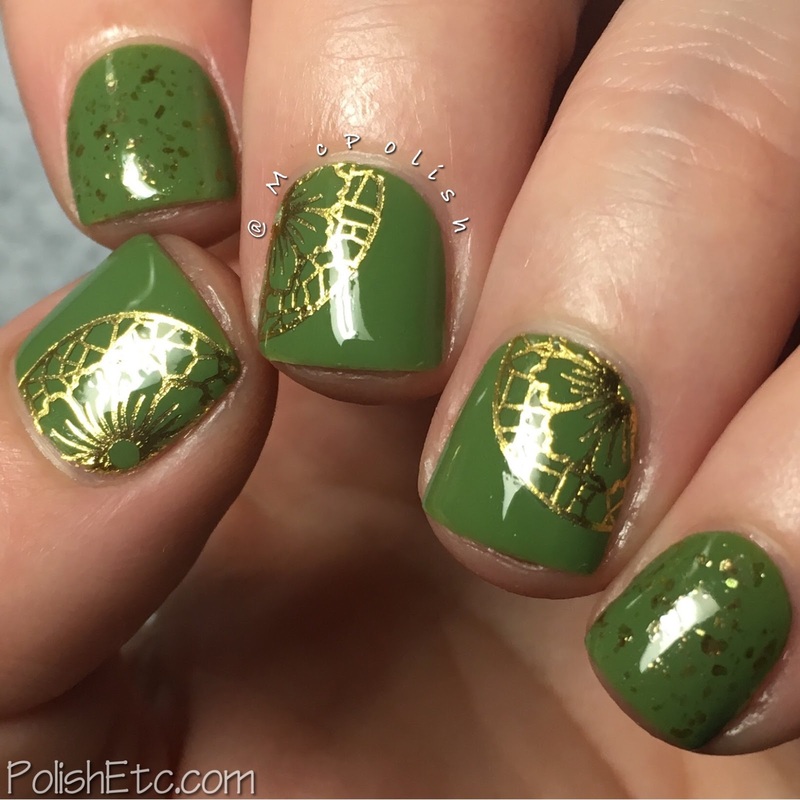 The gold foil designs are water decal from Wrap Artist Nails called Geisha Girl. These water decals are super easy to work with and I love how metallic they are. Simple nail art for the win! They will definitely get more complicated as the weeks go on. Be sure to check out my partner, Lotte, for all of her challenge manicures. Her green nails are amazing! And feel free to join in any time you like! 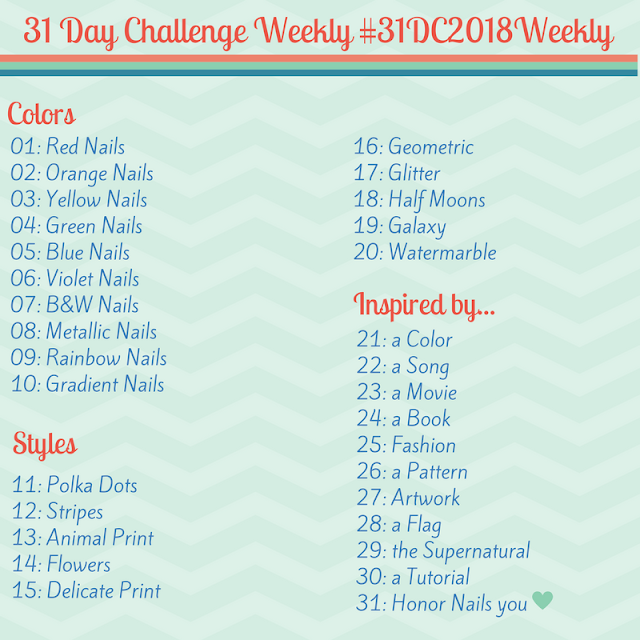 Just use the tag #31DC2017Weekly on Instagram, Facebook and Twitter. Perfect! :) And the golden waterdecals are awesome! I need to use decals soon - maybe I find some for the next prompt. Loving that golden decal! Its very pretty and looks great with that green! I didn't think they would go together but it worked out great!